This was one of the best ad campaigns in Apple history. 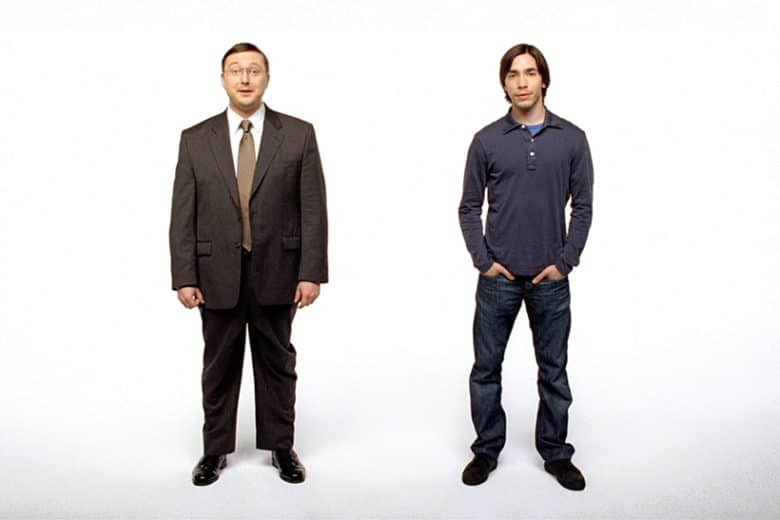 The original “Get a Mac” ads arrived in 2006, around the same time that Apple switched over to Intel Macs. Steve Jobs wanted an ad campaign that highlighted the difference between Macs and PCs — and particularly why Apple computers kicked their competitors to the curb. For a long time, the TBWA Media Arts Lab ad creatives working on the project struggled to come up with just the right approach. “I … remember saying to Barton, ‘What if we embody the two characters? One guy could say, ‘I’m a Mac.’ One guy could say, ‘I’m a PC,'” Trattner recalled. “The Mac could be on roller skates circling the PC saying how fast he is.” Things picked up from there. The U.S. ads ran for the next few years, with 66 television spots in total. The campaign also spread to other markets, with alternate actors playing the Mac and PC roles. (For example, David Mitchell and Robert Webb played the characters in the U.K. version.) All 66 American ads were directed by Junebug director Phil Morrison. Apple aired the last “Get a Mac” TV ad in October 2009, marking the beginning of the end for the campaign. However, the clever marketing continued on Apple’s website. On May 21, 2010, Apple finally replaced its “Get a Mac” page with a “Why You’ll Love a Mac” page. Meanwhile, on television, Cupertino’s commercials focused more on iPhones than on Macs, showing a transition in the company’s priorities. What is your favorite Apple ad campaign of all time? Let us know in the comments below.